← Welcome Lunch for Alba Ketchum, new HR Administrator! 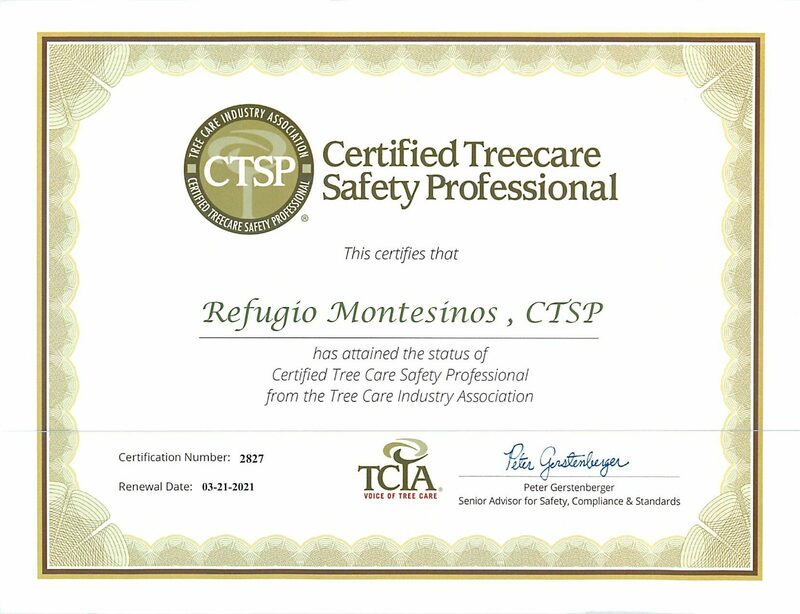 AME’s First Ever Certified Tree Care Safety Professional! THINK SAFE. WORK SAFE. Know and practice the safety procedures for your job. Watch out for the safety of your teammates as well, for we’re all part of the Ashton Manor family. Help others learn by reviewing all near misses during weekly safety meetings. BE RELENTLESS ABOUT IMPROVEMENT. Regularly reevaluate every aspect of your job to find ways to improve. Don’t be satisfied with the status quo. “Because we’ve always done it that way” is not a reason. Find ways to get things done better, faster, and more efficiently – without sacrificing quality. 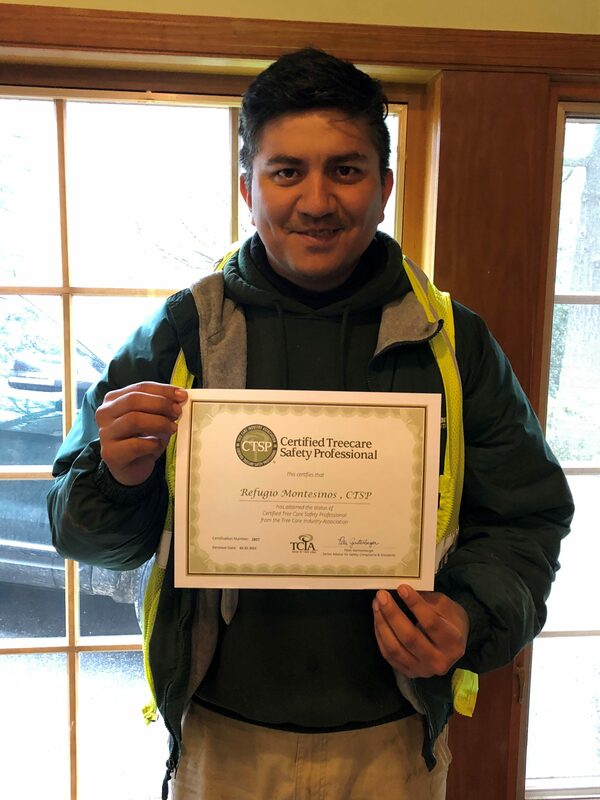 Congratulations on your certification, Refugio!